Here are 2 different science activities to share with children. Invite the children to feel water with their bare hands, and ask them how it feels. 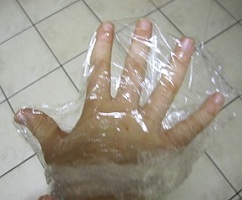 Then wrap cling wrap around their hand with their fingers spread, and let them feel the water. What do they notice that is different? How does having webbed fingers help a frog? Explore this idea with many questions, and encourage the children to discover. Invite the children to discover how frogs absorb water through their skin, and what absorbency is. Do they know what it means to absorb water? Get them to try and pick up all the water in a cup using a sponge. Can they squeeze the water back into the cup? 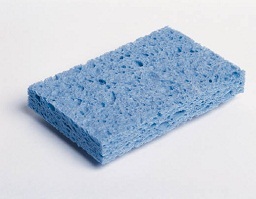 How is a frog like a sponge? 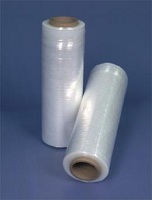 Explore this idea with many questions, and see if they can learn what it is to absorb water. 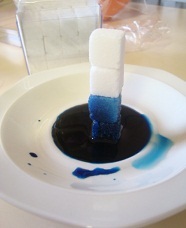 Observe the process of absorption with this easy sugar tower absorption experiment. See how cubes of sugar absorb colored water. The sugar gets soggy and the tower topples!